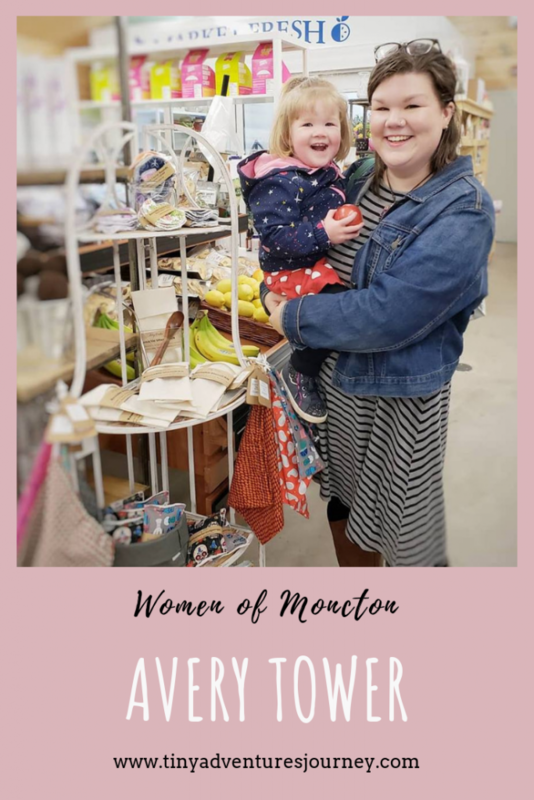 This week’s feature on the Women of Moncton series is Avery Tower, owner and maker behind Lily Pads Reusable Products. I had never met Avery before this interview, but she seemed like an incredibly inspiring woman from what I had heard. She is a mom, a wife, and an entrepreneur. And best of all, she really cares about sustainability. My name is Avery Tower. 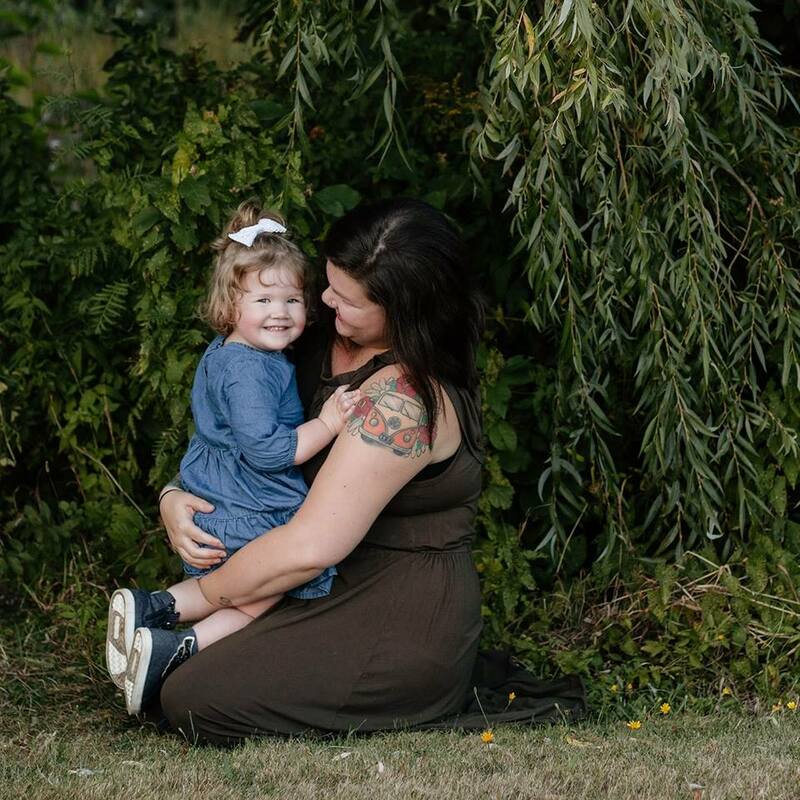 I am 23, I have been married for 5 years and I have a 2 year old daughter Lily. I was born in Newfoundland, but grew up in Riverview. 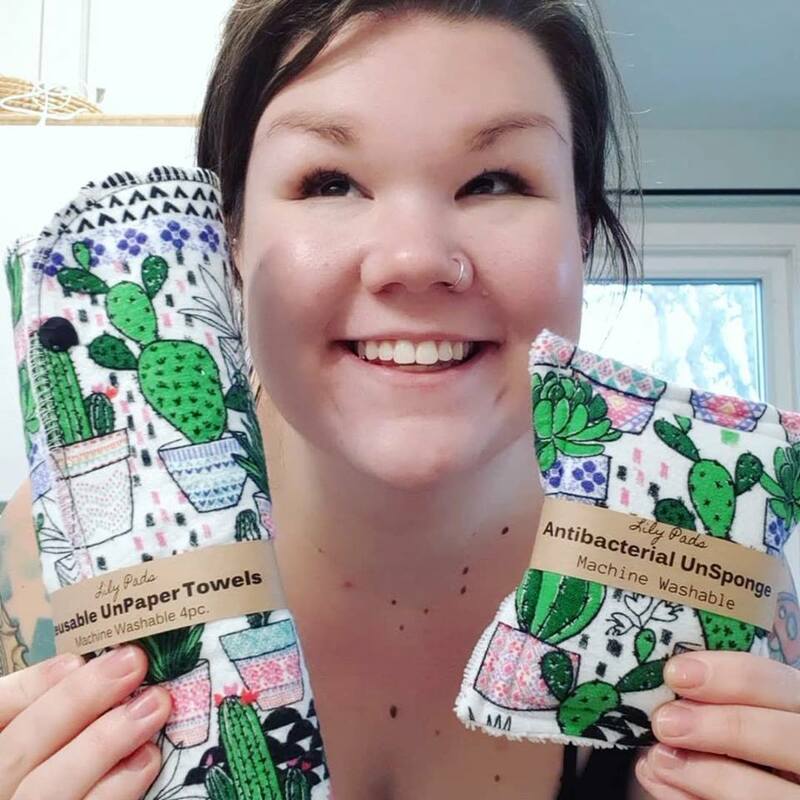 What is Lily Pads Reusable Products all about? It’s about showing people that being low-waste can be fun, it’s not necessary hard. You can customize things and make things that look good that are also good fo the environment. When I was pregnant, I was thinking about how much waste I would produce with diapers and all that, and I wanted to find an alternative. We already had a lot of eco-products at home because my mom used to own an eco-business, and I wanted to pursue that as well. I started making my own products, such as menstrual pads. 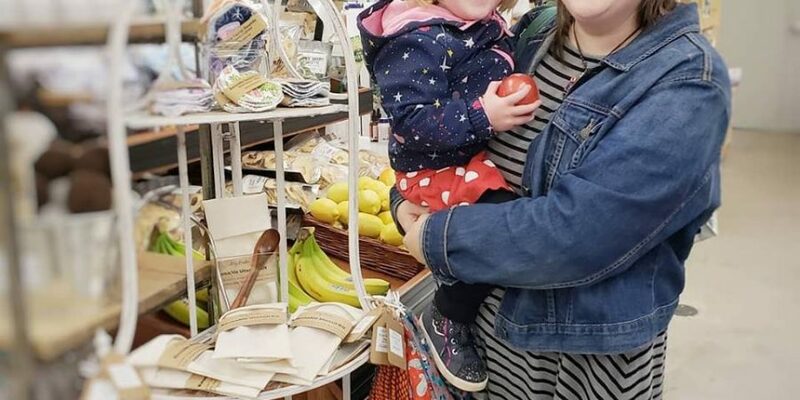 The demand was there from people who were looking for reusable products so I started selling them. I love that it’s a city but it still has a small-town feel. Also the small business community is very strong. Everyone really supports each other, especially women in business. I’ve made a lot of great connections through the last year. I have a great support system. I balance out my work days based on the days my husband is off – I get my work done on his days off. I also get some work done during nap time, and I’m very fortunate that my parents live close by so I can always get them to babysit if I need more time to get work done. As for my personal life, I spend quality time with my family after my husband gets home from work, and we have a date night once a week. It’s all about prioritizing and making time for what’s important. What is the biggest challenge you have faced in your life? In the past, I’ve struggled with anxiety and depression, specifically post-partum depression. Starting Lily Pads has been a distraction for me – in a good way. It has kept me busy and focused. My mom. She is a makeup artist. She had her own cosmetic company called Happy Hippy before she retired. 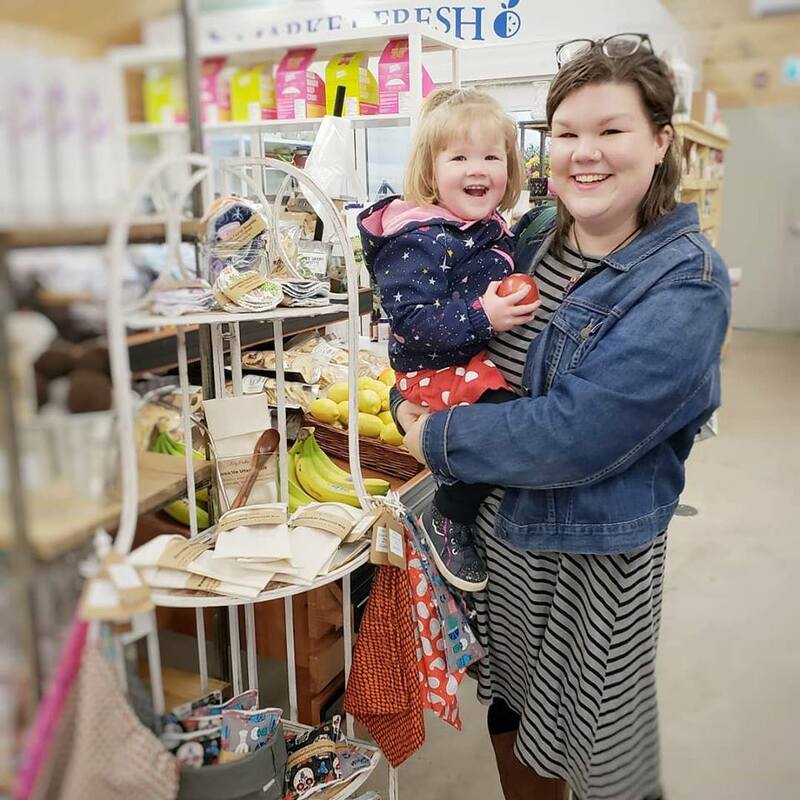 She was able to start a business all by herself, and seeing her be able to work independently really motivated me to go into business for myself. She taught me the importance of being sustainable. And she taught me that it’s never too late to start something, both as an older person and as a mom. If you have an idea, go with it. There’s no harm in trying it out. Don’t give up too soon. Even if you don’t get many sales or people don’t show up, you need to keep working at it. Success will come with time. On Facebook & Instagram, and on my new website.